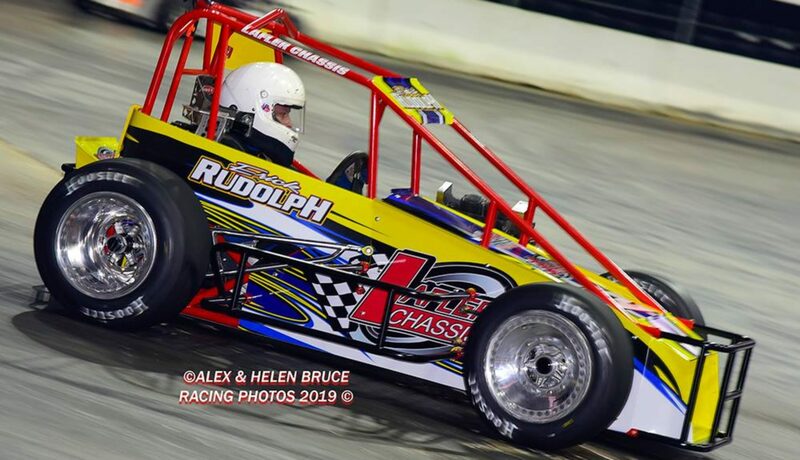 Erick Rudolph had not won an Indoor Auto Racing Series event on the concrete since January of 2017. He sat stuck at eight career wins in the series. Friday night he was close to driving to a win, but fell off late allowing Justin Bonsignore to score the victory at Exposition Center at the New York State Fairgrounds. Saturday night the Ransomville, N.Y., pilot redeemed himself with a win while also claiming in the indoor series point championship. Rudolph, a regular on the Super DIRTcar Series and the 2018 champion at Land of Legends Raceway, got to win in front a crowd that was very pro dirt Modified drivers with it being the first event in Syracuse, the heart of big-block racing. It was Rudolph’s ninth career indoor win moving him past the late Ted Christopher on the all-time list putting him solely at the top. It meant a lot to Rudolph. He had his fair share of great battles with Christopher over the years when their paths crossed during the indoor season. The win propelled him to the $2,000 indoor title as well. Rudolph is the all-time record holder in the modern era in that regard as well. Rudolph claimed his fourth title with the win on Saturday. He got some help with the point leader prior to the weekend, Ryan Flores, off working his job in NASCAR. He still did his part with a second and win on the weekend. Rudolph will now look to ride the momentum earned during the off-season indoor campaign into the 2019 outdoor season.